Matt Andersen, Joel Plaskett, and The Jerry Cans are among the 25 high-profile acts who will play the Lunenburg Folk Harbour Festival this summer. 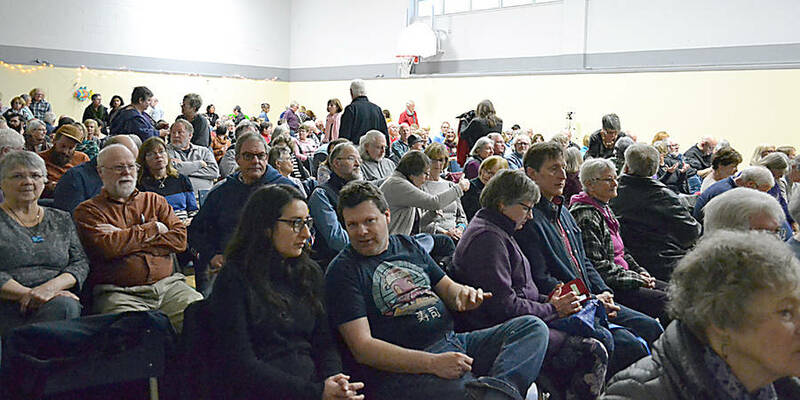 CBC Radio&apos;s Bill Roach announced the acts to some 250 people who crammed into the Mahone Bay Centre on March 30 to hear musicians Don Ross, Catherine MacLellan, and the group Coig play during Folk Fiesta!, the biggest fundraiser of the year for the Lunenburg Folk Harbour Society. 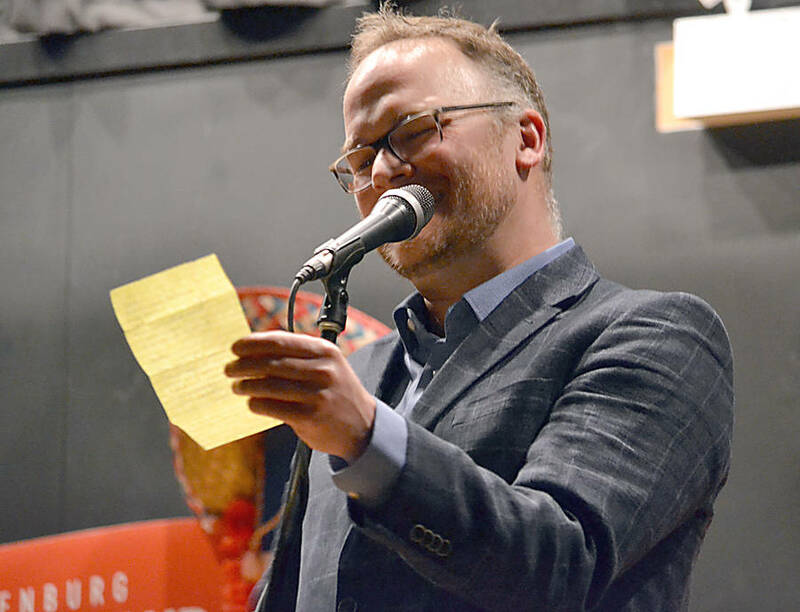 Roach read out this year&apos;s festival line-up from his "top secret little piece of paper." Explaining he had to write the line-up down, he said, "They wouldn&apos;t even let me print it off. That&apos;s how top secret it is." There are a number of festival regulars in the line-up, including Jennah Barry, and Alan Jeffries, while Roach said he and the society&apos;s Louis Robitaille were "blown away" by a couple of musical acts they encountered in Newfoundland - Quote the Raven and the "unbelievable singer-songwriter" Kellie Loder - who will perform on August 9. The 34th annual Folk Harbour Festival runs from August 8 to 11. Though the audience got a hint from the line up of performers at the fiesta, all of whom they were told would be at this year&apos;s festival as well. "The Lunenburg Folk Harbour Society has outdone themselves this year. An amazing line up of music for us tonight," announced the emcee for the event, Roach. But attendees had to wait until shortly before the intermission before they learned the full line-up of groups and individual artists who will grace this year&apos;s festival. "You think you&apos;ve seen guitar players before. You&apos;ve seen a lot of guitar players on this stage. You&apos;ve seen a lot of guitar players on many stages around Nova Scotia. But you have not seen a guitar player like Don Ross," enthused Roach. "He has the unbelievable distinction of being the only person to win the [National Fingerstyle Guitar Championship] twice. Which makes me think, only twice?" After a stellar performance by Ross, which included his A Million Brazilian Civilians, Roach introduced the Juno-award-winning Catherine MacLellan as a "musical entity" in the Maritimes. "Her Dad, Gene MacLellan, wrote some of the greatest songs to ever come out of these provinces," Roach told the crowd. Gene MacLellan&apos;s fame soared when his song Snowbird became a worldwide hit for Anne Murray, followed by the even bigger hit for Ocean, Put Your Hand in the Hand. 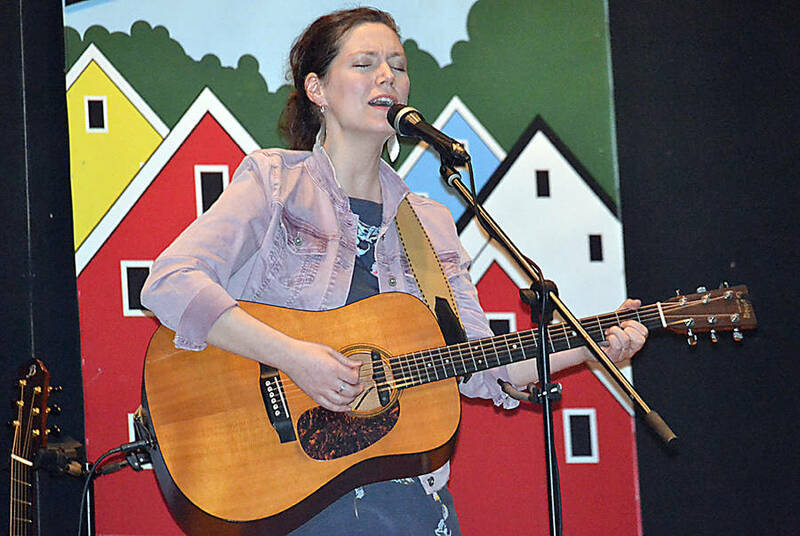 Catherine noted she will be bringing her show If It&apos;s Alright With You – The Life and Music Of My Father, Gene MacLellan to the Chester Playhouse on April 5. The show is Catherine&apos;s legacy project dedicated to her father and mental health awareness. Gene committed suicide in 1995 and Catherine has admitted in the past that she has struggled with depression and anxiety. But she didn&apos;t discuss any of the somber background to the show with the Mahone Bay crowd. Catherine did allude to special family times when she performed the mellow song she wrote called Winter Spring. "Because there&apos;s actually something kind of lovely about that last big storm. It means that maybe your kids don&apos;t have to go to school. You don&apos;t have to go to work. You don&apos;t have to go anywhere, because you can&apos;t. And that is my ideal situation." Roach later introduced the Cape Breton Celtic group Còig, the final Fiesta act, as a "high energy performance." 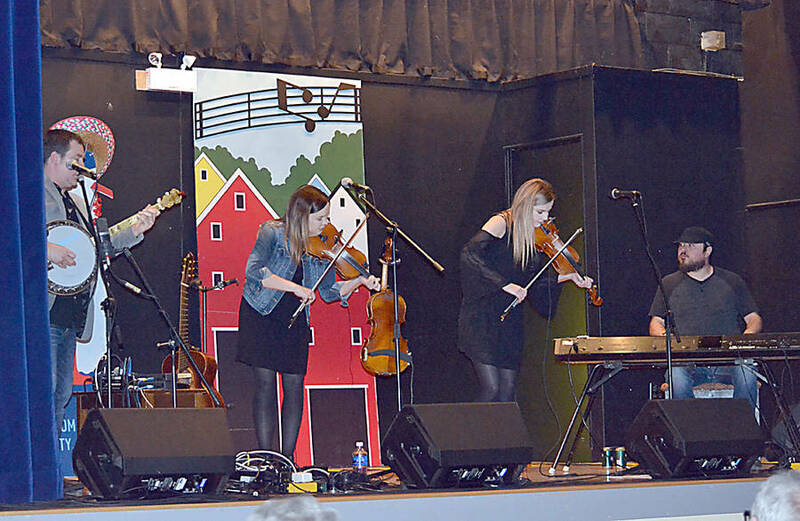 "We&apos;re so excited that we get to do the Lunenburg Folk Festival again, and we&apos;re doubly excited right now because we have a brand new record out," Chrissy Crowley, who plays fiddle, told the audience. Breathless after one of their many fast-paced numbers, Rachel Davis, who plays the fiddle and does vocals for the band, explained the name behind their new album, Ashlar. While the word sounds Gaelic, "it&apos;s actually not," said Davis. She explained it refers to a type of masonry that might be used to bind rough stones together. "We kind of thought that was interesting for us because we&apos;re traditional musicians, but we have a lot of different backgrounds and it felt cool. It&apos;s kind of the way that we come together and make everything work." Judging by the success of the evening, the society has once again come together to make the Lunenburg Folk Harbour Festival work. 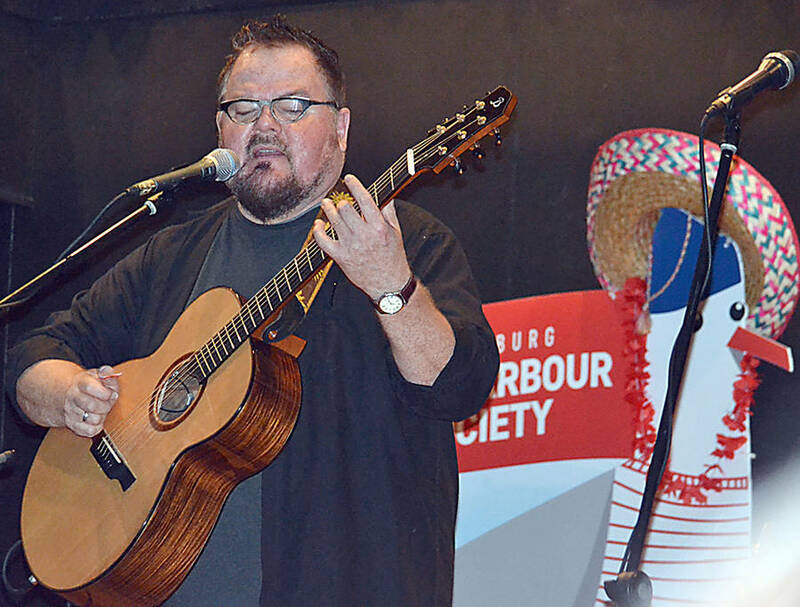 While the final tally of the fundraising event had yet to be tallied, based on attendance and some of the prices going for the live and silent auction items, along with the 50-50 Draw, this year&apos;s Folk Harbour Festival promises to start on a high note. August 8: Jennah Barry, Don Ross, The Bombadilis, Pretty Archie, The Jerry Cans and Matt Andersen.